Eyes-free target acquisition is a basic and important human ability to interact with the surrounding physical world, relying on the sense of space and proprioception. 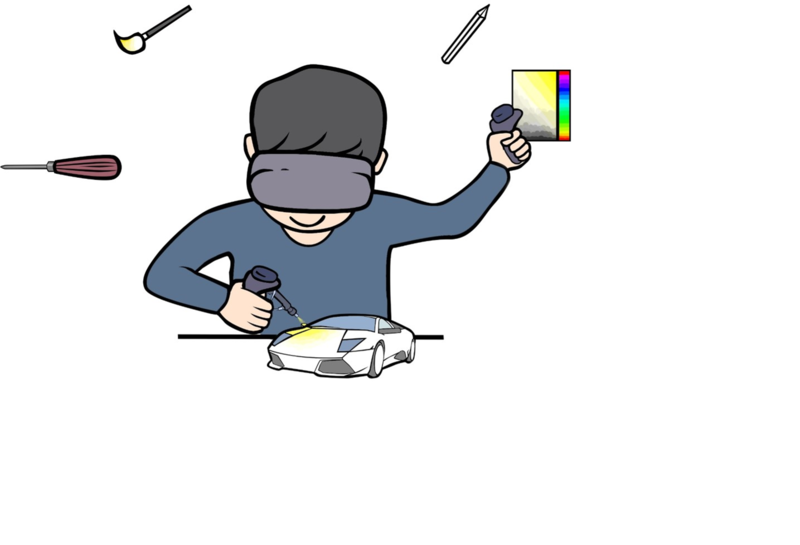 In this research, we leverage this ability to improve interaction in virtual reality (VR), by allowing users to acquire a virtual object without looking at it. We expect this eyes-free approach can effectively reduce head movements and focus changes, so as to speed up the interaction and alleviate fatigue and VR sickness. We conduct three lab studies to progressively investigate the feasibility and usability of eyes-free target acquisition in VR. Results show that, compared with the eyes-engaged manner, the eyes-free approach is significantly faster, provides satisfying accuracy, and introduces less fatigue and sickness; Most participants (13/16) prefer this approach. We also measure the accuracy of motion control and evaluate subjective experience of users when acquiring targets at different locations around the body. Based on the results, we make suggestions on designing appropriate target layout and discuss several design issues for eyes-free target acquisition in VR.